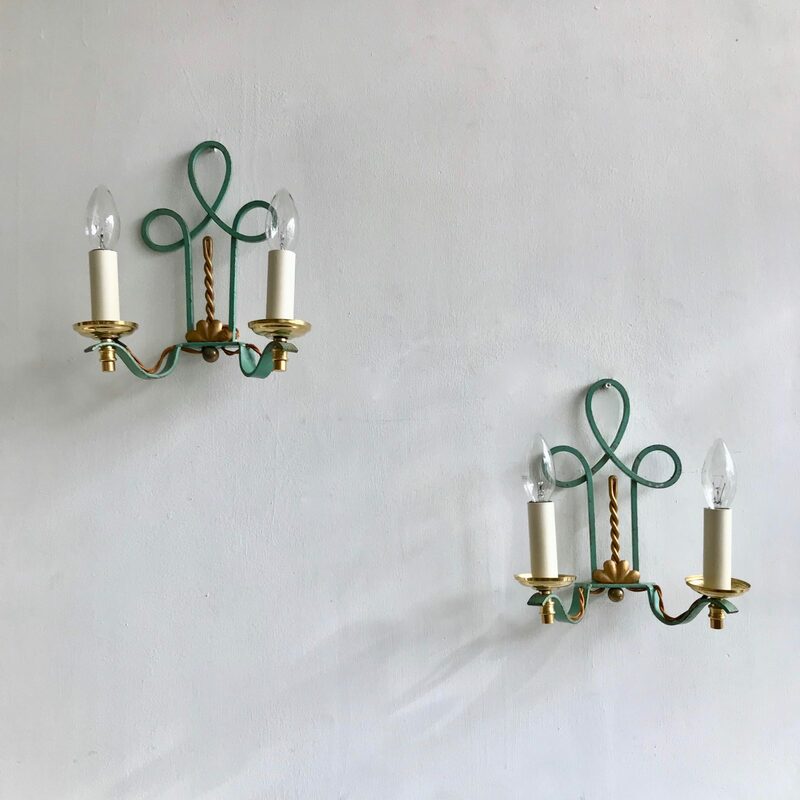 A pair of double wall lights with twisted floral motifs. The wall lights originate from France in the early 1900s. They have been rewired and restored and each wall light requires two SES bulbs.